A homemade mouthwash is one of the best things you can do to avoid using yet another chemical healthcare product that may do you more harm than good. Used to prevent plaque, bad breath, and gingivitis, mouthwashes have become industrialized and overly chemicalized. Consequently, more and more people choose to take a holistic approach. We applause this initiative, and have put together eight homemade mouthwash recipes guaranteed to protect your teeth from dental issues. Furthermore, let’s check out some of the major benefits of making your mouthwash at home. Why Go for a Homemade Mouthwash? Chemical-free. The most obvious reason for choosing a homemade mouthwash is that there are no harmful chemicals in it. Store-brought mouthwashes contain preservatives, dyes, artificial sweeteners, and many other chemicals that are harmful both to us and to the environment. However, when making our own mouthwash, we know exactly what it’s made of and what to add to create an all-natural one. Quality ingredients. Some manufacturers choose to use ingredients of questionable quality in order to cut costs. However, when making your own mouthwash, you can pick only the finest quality ingredients. Inexpensive. Mouthwashes made at home using natural ingredients are a lot cheaper than store-bought Even if it seems that you are paying more because you have to buy several products to combine into one mouthwash, you will not be consuming them all at once. A small bottle of essential oil can last you several months since you will only be using a few drops for each bottle of mouthwash. Alcohol-free. Most store-bought mouthwashes contain alcohol, an ingredient which some individuals cannot use. Alcohol can dry the mouth and also cause bad breath. If you choose to make your own mouthwash, you have the option of leaving out this ingredient. Oral health. Many ingredients in homemade natural mouthwash recipes pack antibacterial, antimicrobial, and antifungal properties. They can get rid of the bad bacteria that lives in our mouth and causes a lot of health problems. Furthermore, adding peppermint essential oil guarantees a minty fresh effect. 5 drops of tea tree essential oil. 2 cups of spring water. Pour all ingredients into the bottle and shake it well. The essential oils in this homemade mouthwash will cleanse your teeth and gums, and also kill the germs. The peppermint oil will leave a nice, fresh smell. 1 and a half teaspoons of honey. One teaspoon of baking soda. A plastic dispenser bottle or a jar. Put the cinnamon, honey, baking soda, and the juice from the two lemons into the bottle or the jar. Then add the (very) warm water to melt the honey. Stir well. This recipe is very effective for people suffering from bad breath (halitosis). This is mostly due to the cinnamon, which will not only mask the bad smell, but it will also kill the bacteria that is causing the malodor. 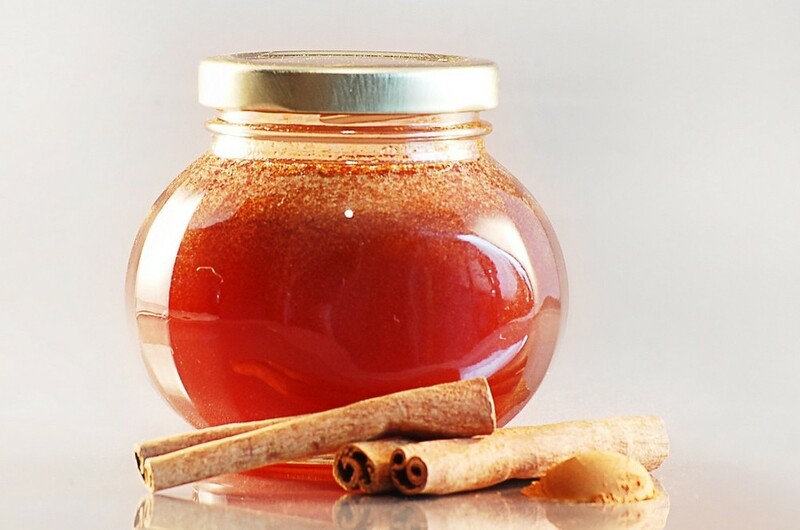 Honey, another ingredient of this homemade mouthwash, has antibacterial properties as well. If possible, purchase Manuka honey, and always get organic raw honey. Very important: the lemon juice might, in time, destroy the enamel. Because of this, we suggest you skip the ingredient if you are planning to use this mouthwash every day. You can also prepare a mixture without the lemon juice, and alternate the use of the two types of mouthwash. 2 drops of tea tree essential oil. 2 drops of peppermint essential oil. ½ cup of filtered/ distilled water. Place all the ingredients into the plastic bottle and shake it well. You should also shake it before each use, as the baking soda will most likely settle to the bottom of the bottle. Having antibacterial and antifungal properties, this mouthwash is guaranteed to both kill bacteria and keep bad breath away. Furthermore, the baking soda will mechanically clean your teeth and gums, and also neutralize the production of acid in the mouth. 8 ounces of vodka for tincture. 15 drops of cinnamon essential oil. 2 tablespoons of dried plantain leaf. One teaspoon of clove powder. One tablespoon of rosemary leaf. Place all herbs in a jar. Pour boiling water over them just enough to dampen them. Afterward, take the vodka and pour it into the jar. Then, cover the recipient with a tight lid and leave it in a dark place for up to three weeks. 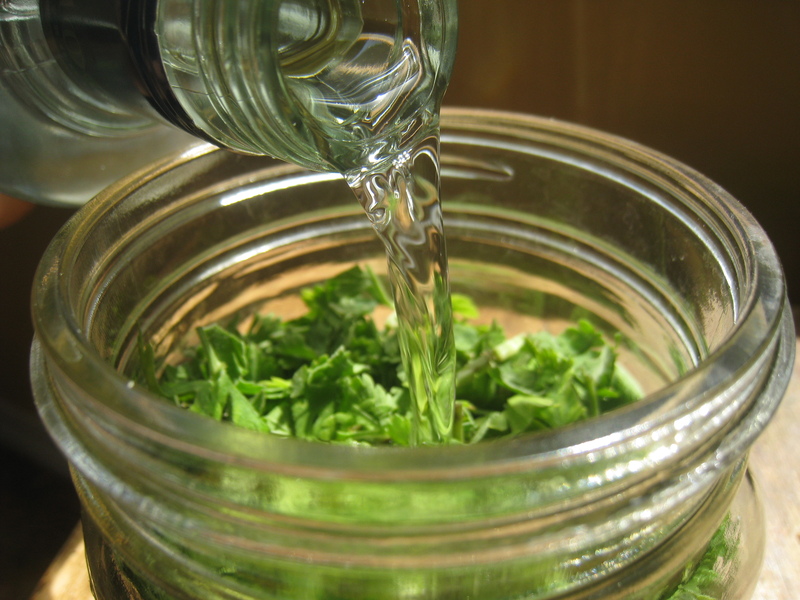 Remember to shake the jar each day to help the herbs infuse into the alcohol. After the three weeks, strain the herbs using a cheesecloth. You can then pour the tincture into a plastic dispenser bottle. This tincture is not to be used as a mouthwash on its own. Instead, take a small cup or a glass of water and mix it with 40 drops of this herbal tincture. Only then you can take a sip of this homemade mouthwash and swish it for about 30 seconds. 4 drops of peppermint oil. Add all of the ingredients to a plastic bottle and shake it well until they’re all combined. It goes without saying that the coconut oil has to be in its liquid form. Speaking of which, the coconut oil might solidify even after it has been mixed with the rest of the ingredients. Consequently, you should simply place the bottle under very warm water before using the mouthwash. Both the peppermint and coconut oil possess antibacterial and antimicrobial properties that can prevent tooth decay and gum disease. These two ingredients are also naturally aromatic, and they will leave your mouth smelling very fresh. 10 drops of concentrated trace mineral liquid. 5 drops of lemon essential oil. 5 drops of spearmint essential oil. 2 teaspoons of calcium carbonate powder. 2 cups of filtered/distilled water. One teaspoon of xylitol crystals. Take a large glass and place the calcium powder and xylitol crystals in it. Stir well, then add the liquid minerals and essential oils to the mixture. Add the two cups of water and mix everything thoroughly. Afterward, pour the solution into a bottle, close the lid tightly, then shake everything for up to one minute or until the xylitol crystals dissolve. Shake it each time you want to use it and keep it in the refrigerator. This homemade mouthwash will whiten and remineralize your teeth thanks to the calcium carbonate and the xylitol crystals. The essential oil will add flavor to the solution and provide a fresh breath. The lemon essential oil is also good for whitening teeth naturally. ½ cup of Aloe Vera juice. ½ tablespoon of witch hazel. ¼ cup of distilled water. A 6-ounces dark glass bottle. Place all ingredients in a bowl, then use a whisk to mix them all together. Pour the solution into the dark glass bottle and store it in dark place. Aloe Vera can be found in many oral care products available in drug stores. This is because researchers have discovered that it is also beneficial in treating and preventing dental problems. Aloe Vera can disinfect the mouth, preventing infections, cavities, and gum disease. Furthermore, ingredients such as witch hazel can reduce the pain and inflammation caused by irritated or infected gums. 3 drops of clove essential oil. 2 drops of cinnamon essential oil. 2 drops of orange essential oil. One drop of ginger essential oil. One cup of filtered/distilled water. Place all ingredients in a clean plastic bottle and mix together well. Shake before each use. The multitude of essential oils provides antibacterial, anti-inflammatory, antimicrobial, antiseptic, and astringent properties. The ginger essential oil can also stimulate the production of saliva, an important factor in preventing tooth decay and gum disease. Some people may not want to go through the hassle of making a homemade mouthwash. Yet they don’t favor the idea of buying one either. If you are looking for an alternative, we suggest oil pulling. This practice has become more and more popular because there is evidence to suggest that it can prevent tooth decay and even benefit other parts of the body. The idea is to swish in the mouth an organic oil for up to 20 minutes. This can help remove plaque, thus preventing gum disease and cavities. Coconut oil is usually the preferred choice for most people practicing oil pulling. We hope these natural mouthwash recipes prove to be beneficial for you too. Remember to use mouthwash in addition to brushing or flossing your teeth each day as a way to maintain a proper oral health. Tell us what you use to make your own homemade mouthwash and maybe share a few tips with us.